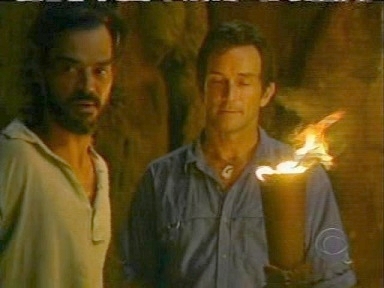 If you were to pick the top 50 most memorable moments in Survivor history, I would be willing to bet that a good number of them would probably be blindsides. After all, these are the moments that really tend to resonate with people. 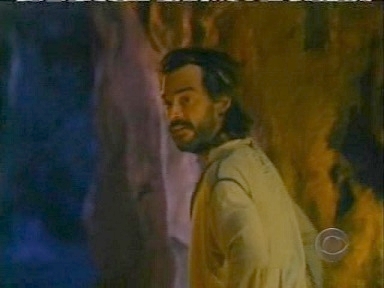 When a big cocky character takes a big humiliating fall, and-- best of all-- he doesn't see it coming for a second, these are the types of moments that Survivor has traditionally tried to build its storylines around. Case in point, remember these guys? 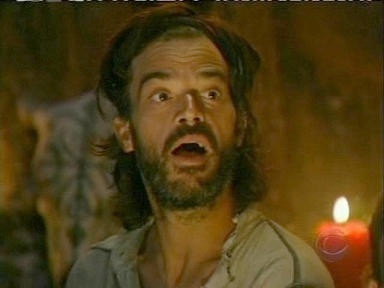 For 80% of the people reading this countdown, I'm guessing I don't even have to mention their names. 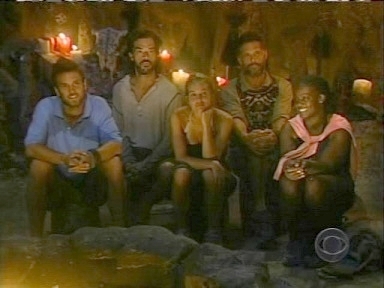 Just by looking at their faces I bet you know exactly who they are and what season they were on. 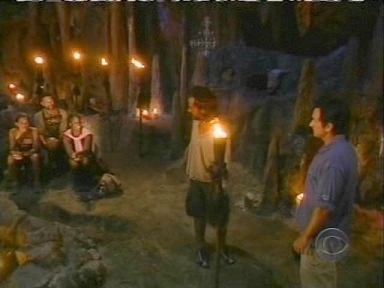 The reason you remember this is because all five of them were big characters, and all five of them were blindsided. Now, just on the surface, a blindside is awesome enough on its own. I mean, it's a person who gets totally bitchslapped when they didn't see it coming. What's not to love about that? That's the equivalent of watching AFV and seeing some random fan at a soccer game take a ball to the face. Whether you like the guy or didn't like the guy or whatever, I don't care what you say. A guy takes a ball to the face and he didn't see it coming, that's funny. So anyway, yeah, a blindside is generally pretty funny on its own. 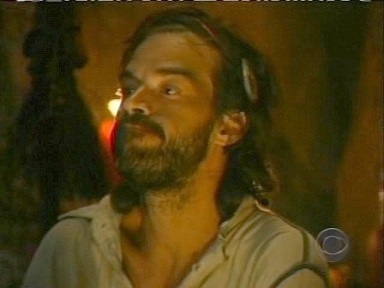 But when it comes to a Survivor blindside, well, now, that's sort of a whole different category of awesomeness altogether. 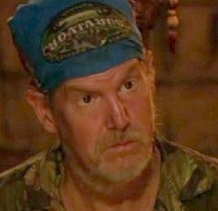 When it comes to a Survivor blindside, now you throw in the added variable that there's about a 50% chance said blindside is happening to a crazy person. And once you throw crazy into the mix... well now pretty much all bets are off. 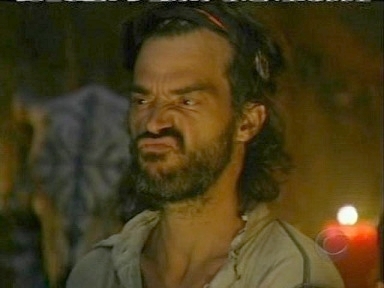 Because if you combine crazy + blindside + starving + scumbags, now you have a recipe for some pretty awesome TV. Which, hey, what do you know? Is exactly what happened in our #70 entry! 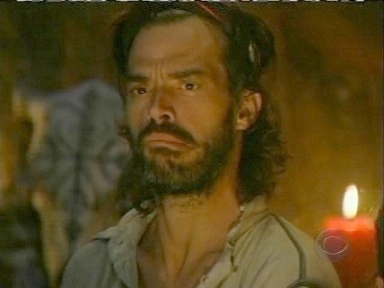 One of the things that has made Survivor so spectacular over the years is that when they cast people for the show, they don't just go out there and cast people. No, they go out there and they cast -fun- people. They go out there and they look for the type A personalities. They look for the people you will remember. They seem to spend a lot of time specifically looking for the loose cannons. And, well, with Shane Powers, you don't get very much looser than that. 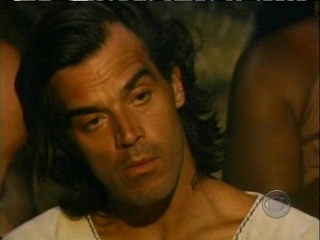 Shane was an awesome Survivor character for two reasons. First off, he was kind of nuts. No, not nuts in a scary way, like he's going to come over to your house and hack up your family or anything. But he was definitely nuts in the sense that, in his own words, he was "thirty-four going on twelve." So from just a strange loose cannon psycho boy A.D.D. perspective, Shane was already kind of nuts just as a baseline. 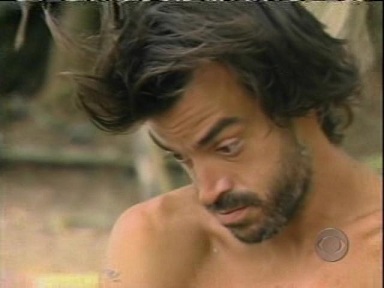 Oh yeah, and then add in the fact that Shane had just given up smoking right before he went on Survivor. 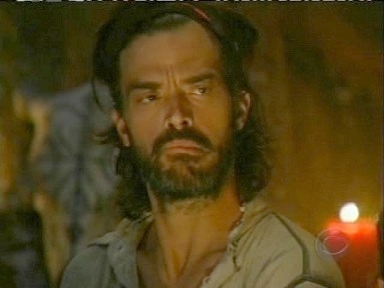 And I mean right before he went on Survivor. He quit smoking like two minutes before the game began. Take a guy who is already kind of nuts to begin with, throw him into a stressful situation where he's not sleeping, eating, or drinking water, and then throw in massive nicotine detox on top of that? Yikes. Do you really want to see how crazy a guy like that will get? 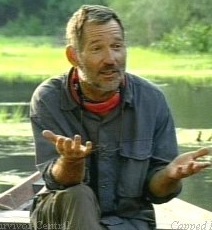 And do you really want to see what happens when a guy like that actually gets blindsided? What, you say that you do? Well I do too! Yay! 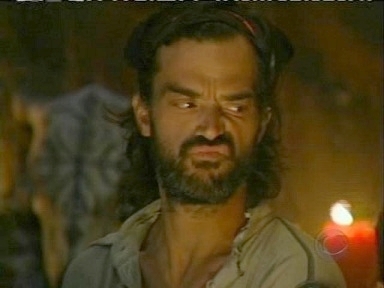 It's the twelfth episode of Exile Island, and Shane Powers thinks he has the game in the palm of his hand. And why wouldn't he? After all, he's in the dominant alliance. He has solid allies behind him in Aras and Cirie. He's a strong competitor who is good at challenges and also helps out around camp. Why would there be any reason to worry? 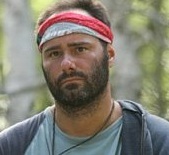 On paper, Shane Powers at tonight's Tribal Council should be as safe as can be. 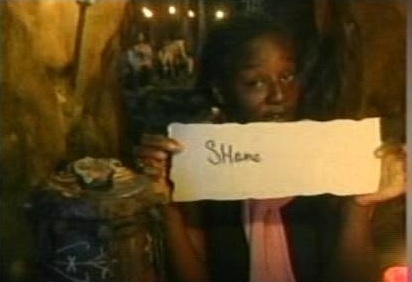 Prior to the vote, Shane congratulates Aras on the fact that they'll both make the final four. Shane thinks he will be perfectly safe tonight. He can totally see himself making the final two. 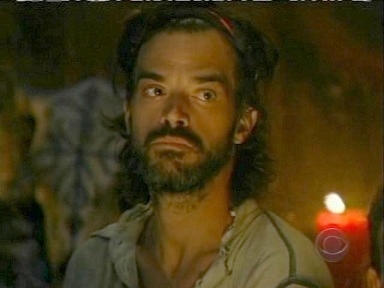 But that's when he gets to Tribal Council. And that's when the wheels come off. 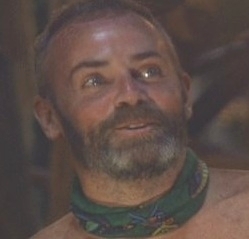 And so does his #2 ally, Cirie. Now Shane is pretty much toast. And now all that's left is the official blindsiding. 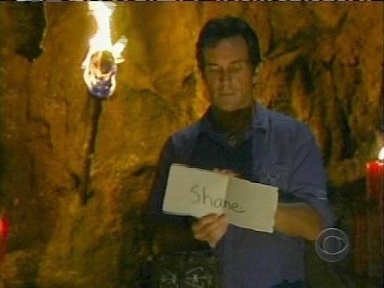 The first Shane vote comes up. Uh oh. As Scooby Doo would say, "Aroo?" 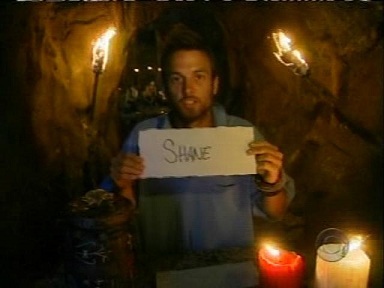 Shane vote #2 comes up. 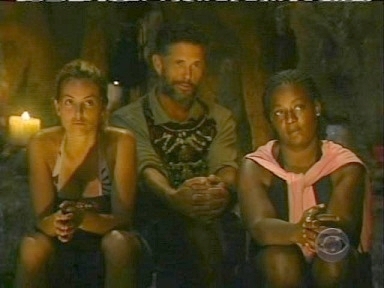 "The fifth member of the jury... Shane." 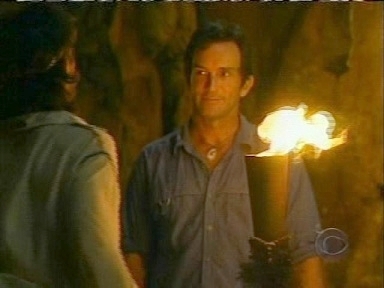 Now although Shane's facial expressions and cartoon like reactions were already awesome enough, what happens next is what officially makes him a legend. 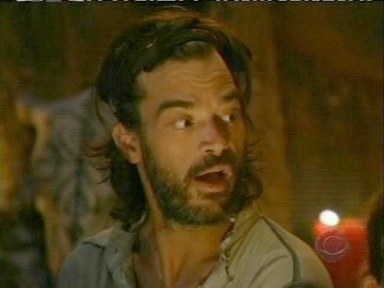 Because after Shane's blindsiding comes the most important part of the entire sequence: Shane's reaction. This is what we have been waiting for. What happens when a guy who is already nuts to begin with has one last chance to speak to the people who have betrayed him, and who have voted him out of the game? How will Shane direct his fury towards the people that he once thought were his friends? 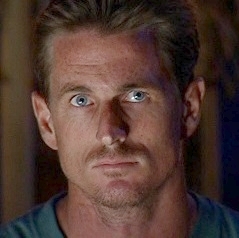 What words of wisdom will Shane Powers leave as his one final legacy in Exile Island? This is what happens when you blindside a crazy guy. 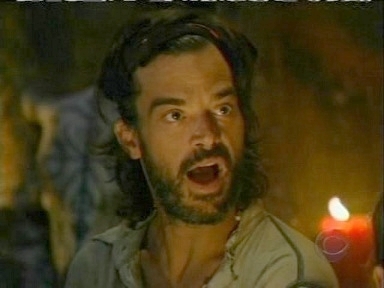 "Oh my God. I'm gonna have a chocolate ice cream bar in about one min..."
This is my favorite part of the scene. The awkward pause. 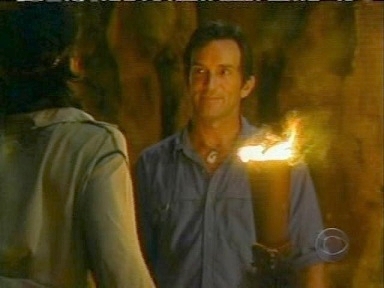 Jeff just stands there and smirks at him. He is clearly trying not to laugh at what just happened. 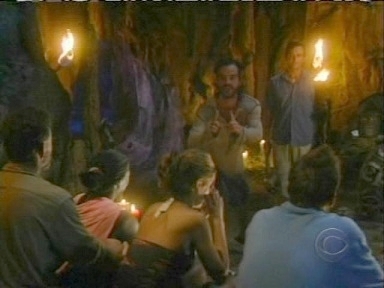 And then finally... "Shane, the tribe has spoken." I love that you are waiting for this big huge explosion of anger or rage (or whatever) and instead he makes a joke. He makes an ice cream joke. 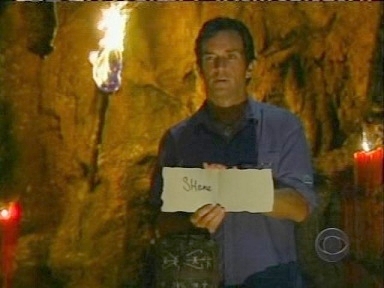 It's just classic Shane. The guy is unpredictable even by loose cannon standards. Shane Powers is so unpredictable and is so much of a wild card that when it's time for him to snap, he doesn't even snap right! And there he goes. 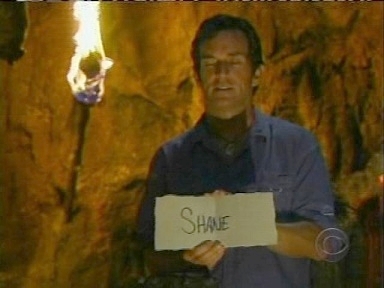 That's it for Shane. 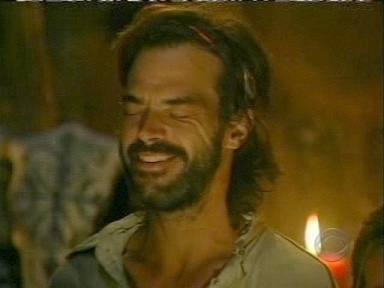 A truly awesome ending for an awesome character. P.S. Fine, but you should have already known this. The guy in the middle is Hunter from Marquesas.